The young couple had a few names in mind but after conferring with the family decided on Morné – confident that he will turn out for the Stormers one day. Great-granny Meisiekind, who was the first to call, says the little one has his mother’s brown eyes, and his dad’s dark curls. Although Trompie is still a bit overwhelmed by his new role as father, Racheltjie is recovering well and takes to motherhood naturally. Luckily grandma Lulu is close by to lend a helping hoof to the new sleep-deprived parents. She’s already been shopping to kit out the nursery in blue. 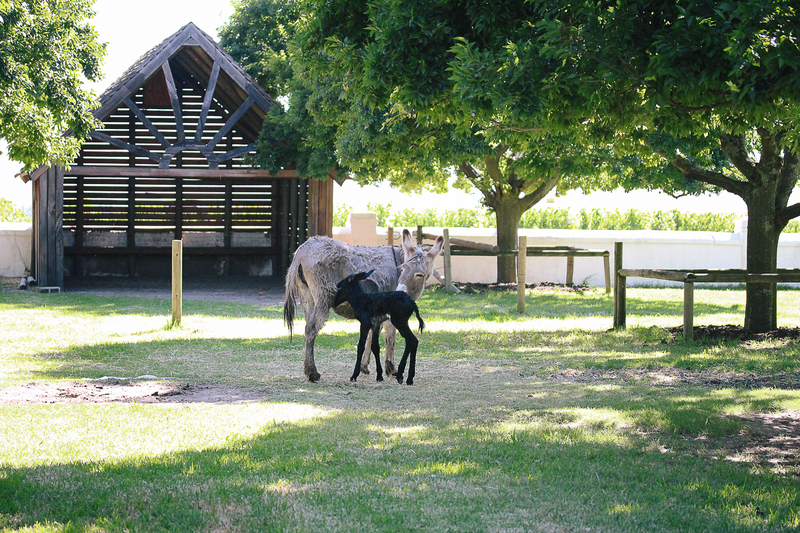 Although visitors help distract Racheltjie from post-natal blues, she’s very protective of her new baby. During visiting hours, to avoid being bitten or kicked, please keep children out of range. Baie geluk aan Trompie en Racheltjie!! Morne is pragtig en gaan die lewe op Babylonstoren so baie geniet! Dis die dierbaarste babatjie ek wens hom net ‘n goeie lewe toe hy bly al klaar in die mooiste plek op aarde. Such a cute baby donkey! No doubt the parents and family are very proud. 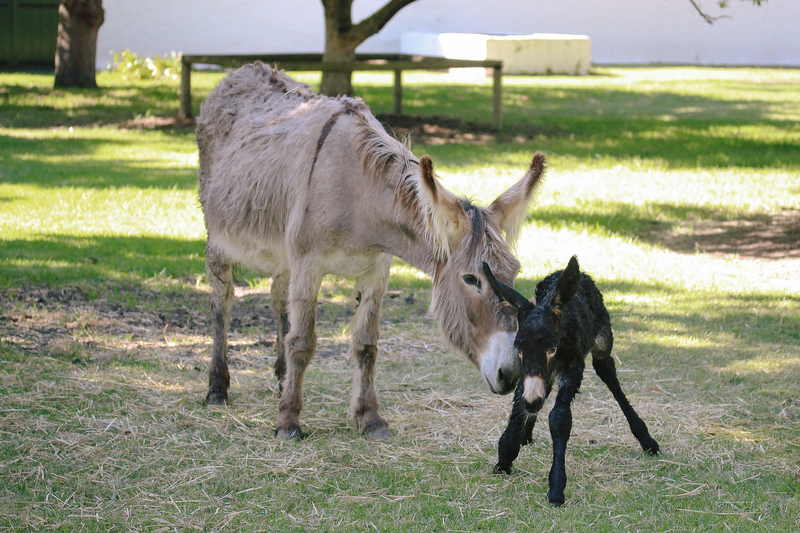 All the best for a long, healthy and happy life on the wonderful farm Babylonstoren! Denis, Erna and Brigitte Maas. Wishing Morne a very happy little life . What a darling little boy he is. What a delightful story and beautiful pics! Congratulations to Racheltjie & Trompie on their first born, Morne! ???????? And to all at Babylonstoren!! May he bring tons of Love & Joy to all!! Congratulations Trompie and Racheltjie. Welcome. Morne???????????????? Welcome to your beautiful new home! we very much look forward to meeting you on our next visit to Babel (the most wonderful place and a sanctuary)…. The cutest write-up on your newborn baby. Congratulstions!!! Thanks for the excellent news. congratulations to the luckiest donkey pair in africa!! Dear donkey parents and family.